Stunning Mediterranean style dual master condo filled with natural light and views of the Hollywood sign from every room. This unit features an open floor plan, with granite counter tops, hardwood floors, high ceilings, 8 inch baseboards, crown molding, and more. Master suite is spacious with walk-in closet, dual vanity in master bath, and washer/dryer closet. 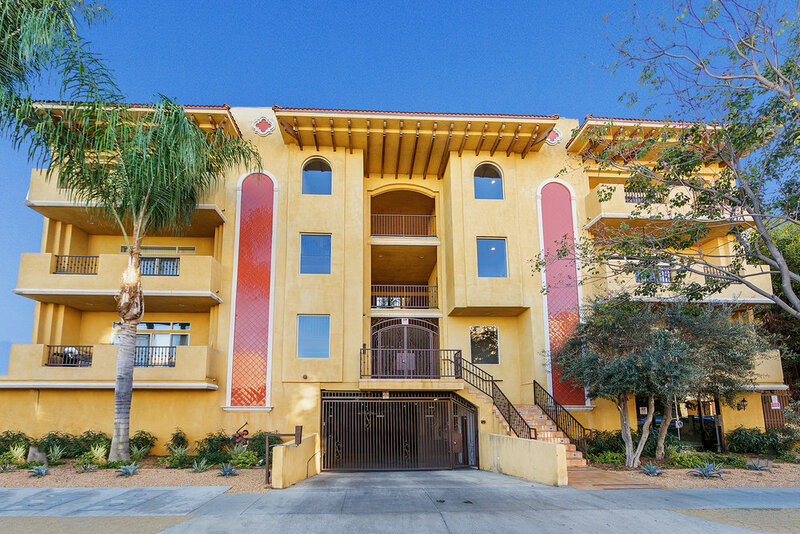 The West facing balcony features stunning sunset views and amazing 360 views of So Cal can be seen from the roof. There are no neighbors on either side or above the unit. Located on a quiet street near Hancock Park and Larchmont Village. Minutes away from shopping and night life.